Now, when you create an environment for a JRuby runtime, you can select JRuby that is compatible with Ruby 1.9.2. With high availability, when you create an environment, Engine Yard Cloud automatically deploys your instances across different availability zones in an Amazon Web Services region. Engine Yard balances the instances and ensures that master and slave instances are in separate zones. For more information, see Make a high availability environment. Fixed an issue where the deploy process reinstalled all gems on deploy. This caused short spans of downtime on every deploy. New Relic Server Monitoring is now available. Upgrade your Engine Yard Cloud environment. If you have not already, sign up for a New Relic account and configure your application for New Relic monitoring. For information, see Monitor applications with New Relic on Engine Yard Cloud. Review information about your Engine Yard server instances in the Servers tab in New Relic. Upgrade to Redis 2.4.2 from Redis 2.2.11. For more information, see the Redis 2.4 release notes. To take advantage of this upgrade, upgrade your environment and restart your database. Fixed an issue where, under certain conditions, Mongrel, Unicorn, Passenger 2, and Passenger 3 did not serve assets under HTTPS. Fixed an issue where Passenger 2, Passenger 3, and Trinidad restarted nginx unnecessarily. Fixed an issue where only privileged users could customize HAProxy web server error pages. Now, all users can customize the HTTP files in /etc/haproxy/errorfiles. For more information, see Minor: Assorted improvements to the Engine Yard Stack. Engine Yard Labs features are experimental features that Engine Yard makes available to developers. Some Labs features might later be incorporated into our product; some might remain as Labs features; and some Labs features might even be tested out and then deprecated. Node.js is the first Labs feature. To try deploying Node.js applications on Engine Yard Cloud, sign up for the Node.js Labs feature here. 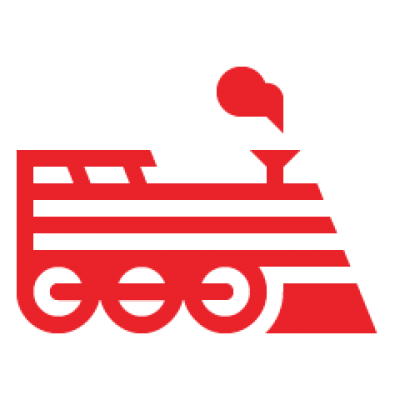 For information about how to run Node.js applications on Engine Yard Cloud and some example node.js applications, see Deploying Node.js applications on Engine Yard Cloud. Snapshot status messages are no longer displayed forever on the Environment page. The messages are now removed after 10 minutes. Ruby 1.9.2 now supports the Psych YAML parser and emitter. Psych can be used as an alternative to the Ruby standard library Syck. Security enhancement: date stamp appended to the command in the shell history. Slave database setup modified to prevent problems with replication setup. In clustered environments, HAProxy web server error pages can now be customized via HTTP files in /etc/haproxy/errorfiles. This does not include 404 errors or (already customized) 500 errors. Increase the maximum length for a connection request queue in Passenger 3 to reduce likelihood of Passenger workers disconnecting from Nginx (and still using resources). Engine Yard Cloud is the new name for Engine Yard AppCloud. Engine Yard Managed is the new name for Engine Yard xCloud. We have completed the renaming. You now see “Engine Yard Cloud” and “Engine Yard Managed” on our product and website (www.engineyard.com) and in our docs and promotional material. To speed up MySQL database backups, the max_allowed_packet size has been increased to 128M. This change is applied when you upgrade your environment. For Trinidad, there is now a debugging script to dump information about the Trinidad application server. If the Trinidad application server CPU utilization is above 100% for more than 2 minutes, this debugging script is run automatically.